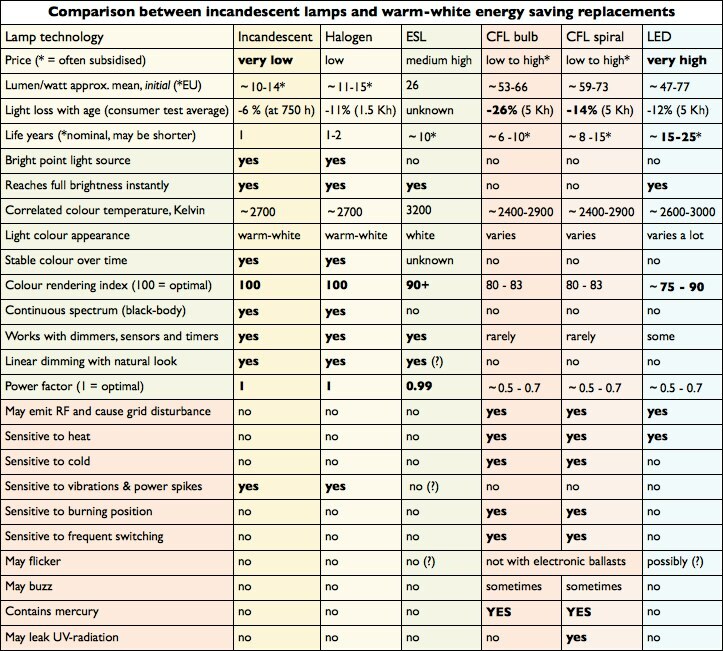 Here I’ve made a table of current data on the various lamp types for easy overview (click to enlarge). 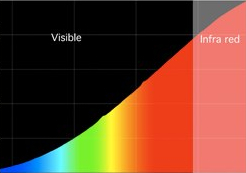 Lumen/watt, light loss and lamp life are averages from the most recent Swedish consumer tests (see the Consumer Test pages) of top brand lamps at room temperature in open space, and may not reflect how the same lamps work at home or apply to every lamp on the market for that category. Cheaply made no-brand lamps often have poorer performance. 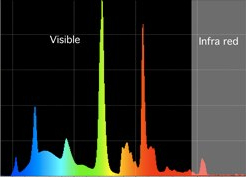 For most CFLs and many LEDs, life, performance and efficacy may be sharply reduced by their various sensitivities depending on lamp quality and how they are used. Possible overheating and frequent switching effects are not included in the tests. And nominal life is not the same thing as useful life, since lamps will become weaker with age and may be useless for illumination long before they actually break. This can be especially true of LEDs, providing they really last as long as claimed – which has not been independently tested. Heating replacement and poor power factor effects are also not included, so net Lm/W may be up to 50% lower for CFLs and LEDs in real life situations. 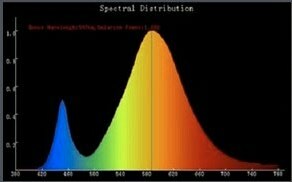 Cool-white LED – a smoother curve but peaking in the blue end of the spectrum instead of the red.